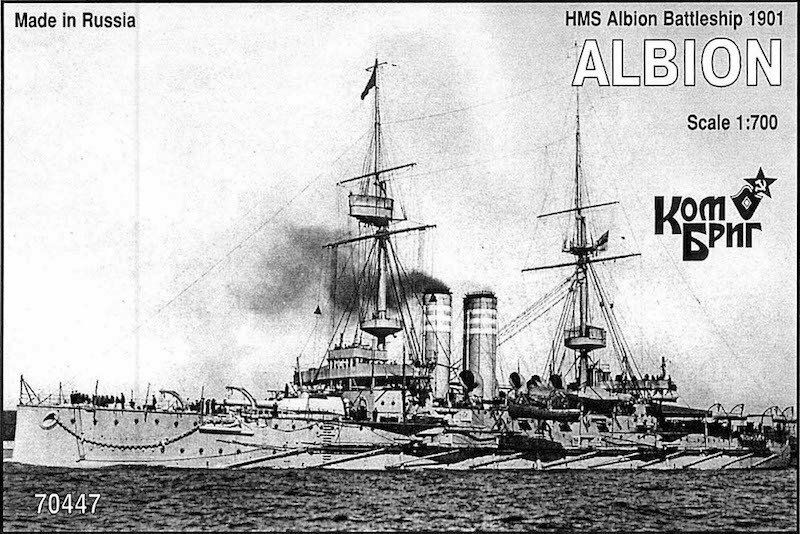 Albion served on the China Station 1901-1905 and in the Channel Fleet 1905-1906, Home Fleet 1907, Atlantic Fleet 1907-1909, and Home Fleet again 1909-1914. At the beginning of World War I, she was in the Channel Fleet and served in the Atlantic, then in South Africa and West Africa 1914-1915, and then in the Mediterranean 1915-1916, where she saw combat against Ottoman Turkish forces in the Dardanelles campaign. She then performed guard ship duty in Ireland and England 1916-1918 before being reduced to subsidiary service in late 1918. She was scrapped in 1920.